The fishery in Key West has been pretty solid this month. The great weather we have been experiencing has helped with that. Even with some decent winds, the water is warm and our spring time candidates are moving in. The tarpon have been seen almost daily in various channels around Key West and throughout the backcountry. This would be considered their first “push” of their 2018 migratory run. The mornings start out by looking for some tarpon in the channels, then moving on to the backcountry to find a plethora of species. We still have our winter time species here. The water is cool enough to support their coziness, while warm enough to have tarpon show up. It’s a very happy medium. The species in the backcountry besides our early tarpon, include sea trout, jack crevalle, yellow jacks, mangrove and lane snapper, ladyfish, barracuda, black tip and lemon sharks, cobia, mackerel, pompano, and more. Lately, the species we go after depends on the wind directions we have for the day, as well as the wind speed. This can dictate where we spend a majority of our time on the water. 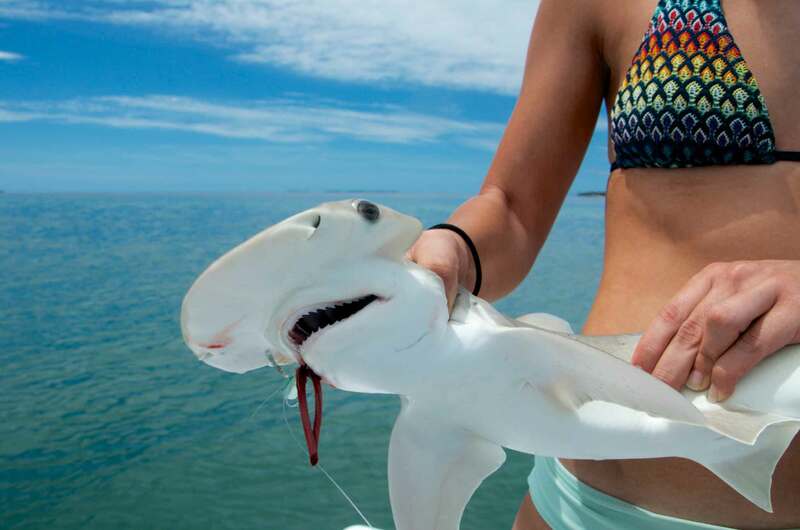 Regardless of what you are fishing for, you can expect to find a nice variety of species and action in Key West.